My feet sure does hurt. Oh, yes they do. 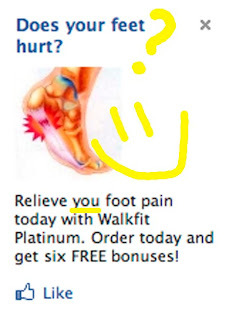 Did you know Walkfit can relieve you foot pain? I didn't either. 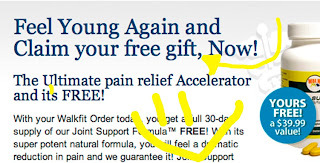 I was so intrigued by this ad on Facebook that I clicked on it to check out the web site. Okay... I was really looking to see if this product was being sold from another country. 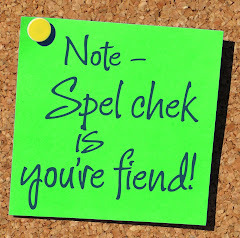 How else could these grammar goofs be explained away? To my surprise, customer service for Walkfit is in Van Nuys, California. And if one were to return their Walkfit it would go to Rancho Cucamonga, California (where I use to live, thank you very much). 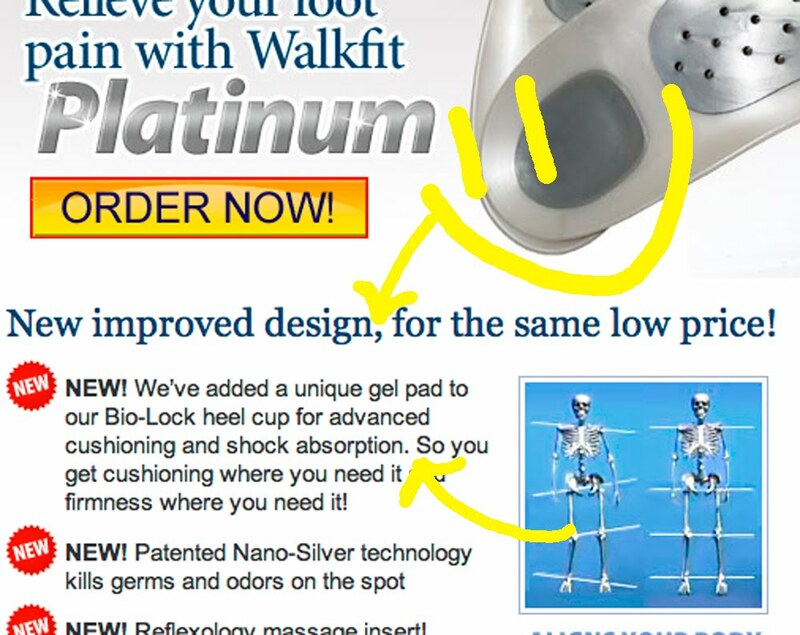 Looking at the web site we can see that the grammar goofs on the Facebook ad are not too far from the goofs on www.walkfitplatinum.com. I guess we should be happy they manufacture shoe inserts not dictionaries. To cap or not to cap... that is the question. 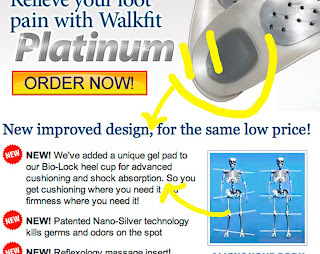 I'm a shoe insert, dammit, not an English professor! 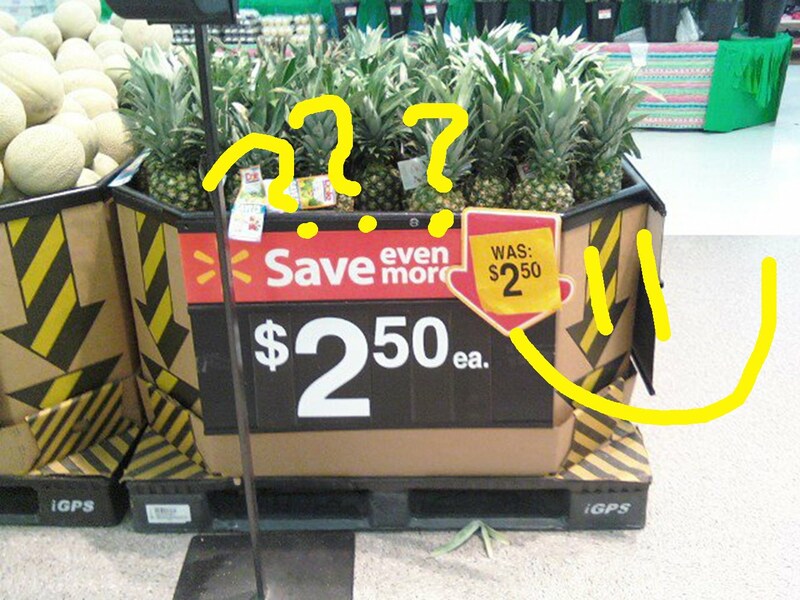 Run, don't walk, to the Post Falls WalMart for this unbelievable deal! 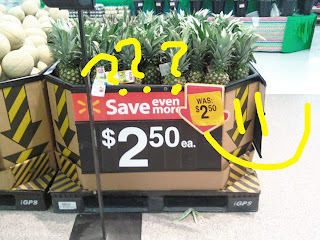 Pineapples have been marked down to $2.50 from $2.50! How do they do it?? How can they afford to offer such a huge discount? 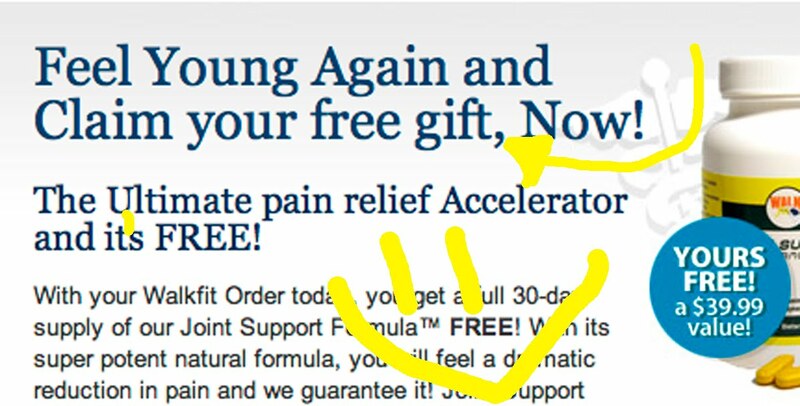 This deal alone may prevent their top executives from receiving their multi-bazillion dollar bonuses at the end of the year. WalMart is really taking a chance with this Save Even More pricing. At least this unbelievable savings isn't costing us money like a great bargain was at Super 1 Foods. Thanks to Carl who caught this last night while being a bored patient husband as his wife shopped!! In honor of the looming April 15 tax day, I thought I'd share this Spelling Disaster from the makers of TurboTax. It sure makes you feel all warm and fuzzy inside knowing the creators of a hugely important piece of software can't spell "someone". Maybe it's a purposeful SD. "Somoene" sounds a bit like a sleep aid and we all know how thrilling and exciting it is to do our taxes. 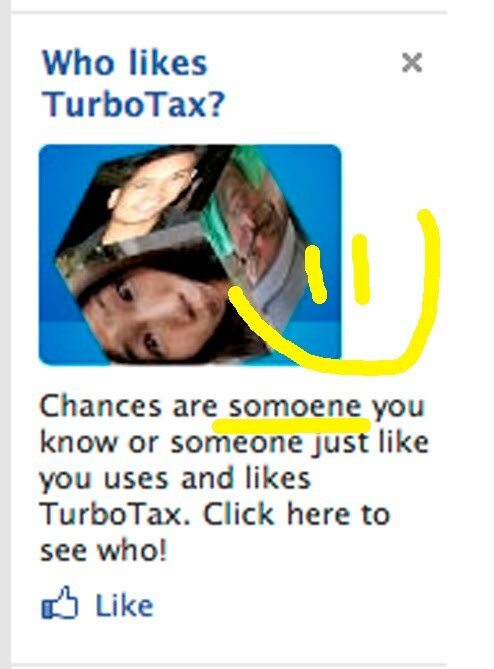 Or maybe TurboTax is just trying to keep up with H&R Block who have a head-scratching grammar goof in their program.